Finance Minister AMA Muhith talks to to reporters on the premises of the Deputy Commissioner’s office on Wednesday, Nov 28, 2018. 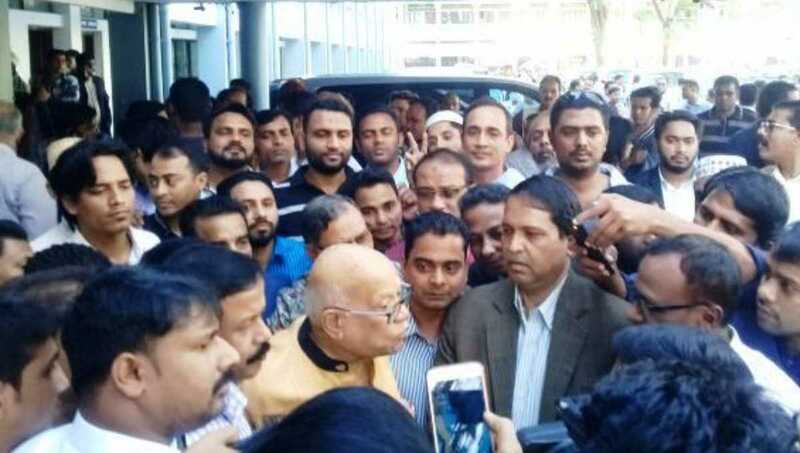 Sylhet Office : Finance Minister AMA Muhith on Wednesday said a congenial election environment is now prevailing in the country. “There’s no conflicting atmosphere this time no matter who says what,” he said while talking to reporters on the premises of the Deputy Commissioner’s office.